Diving is something that Christina and I LOVE to do. And while we’ve traveled to destinations around the world for SCUBA diving, our kids normally watch from the boat or spend some time in a kids club. 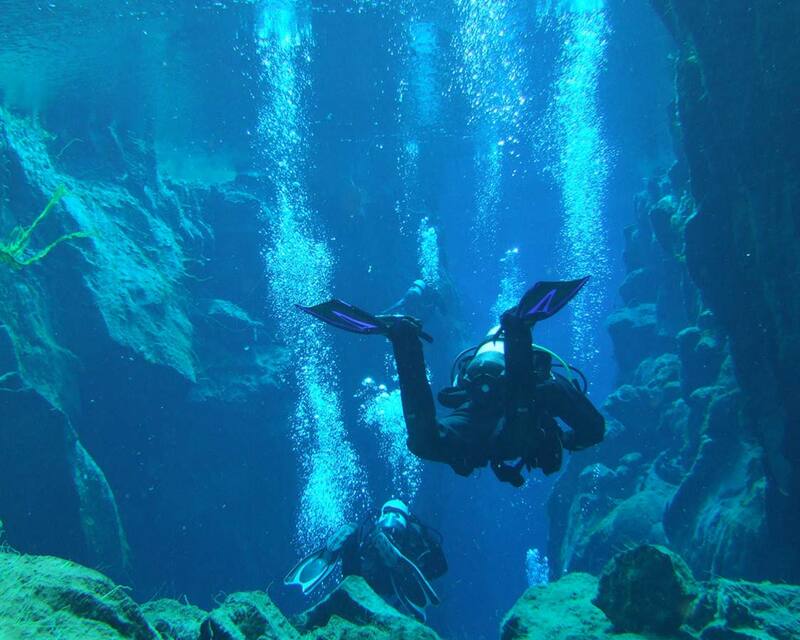 We dove with Manta Rays on the Big Island of Hawaii, swam with sea lions in Argentina, and even dove between continental plates in Silfra Iceland. But C is approaching 8-years-old, the entry age for him to start learning to SCUBA dive with bubble makers. And D won’t be far behind him. So I’ve started on a mission to find the best diving destinations in the Caribbean for families who want to SCUBA dive together. What Makes For The Best Diving Destinations For Families? Family scuba diving vacations are all about having fun, being out in the sun, and having amazing things to see under the waves. This goes double if this will be among the first kids’ diving experiences. Just like any of the best family holidays, you want them to have the best time of their life and fall in love with SCUBA diving trips as much as you. 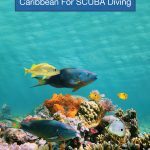 The Caribbean is among the best family dive destinations in the world, so finding the best places to SCUBA dive in the Caribbean should be easy. But, if it was only that simple. 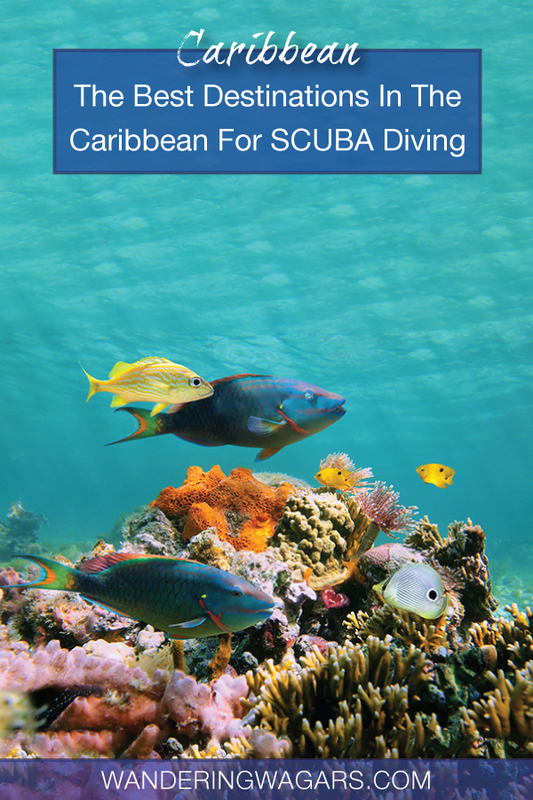 Diving destinations in the Caribbean vary greatly across the region. And if you are looking for cheap diving destinations or the top Caribbean dive resorts, what might be perfect for one family, might not be for another. My family tends to forego the all-inclusive resorts and focus on diving into the culture, experiences, and adventures that make a family travel destination so special for us. But, if I’m looking at focusing solely on family SCUBA vacations, I’m not going to rule them out, because let’s face it, the best Caribbean dive resorts are built with that in mind. What Destinations Offer The Best Diving In The Caribbean For Families? The Caribbean is ripe with amazing family SCUBA diving destinations. And if you’re looking for kids diving destinations, it’s among the best in the world. 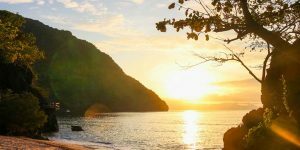 But, there are a few destinations that stand above the rest, and, if you’ve traveled through the Caribbean, you might not be surprised at which Caribbean dive destinations for families made the list. The island of Bonaire, one of the island nations off the coast of Venezuela near Curacao and Aruba is one of the top family diving destinations in the world. SCUBA diving in Bonaire is famous for its accessibility. There are countless areas for shore dives and the waters have a huge variety of undersea life. Bonaire is one of the world’s premier diving destinations. What Makes Bonaire One Of the Best Diving Destinations In The Caribbean For Families? SCUBA diving is a way of life in Bonaire, and they allow children to start exploring undersea life as early as possible. Bonaire offers supplied air snorkeling for children as young as 5-years-old. Their Bubblemaker programs start at 8-years-old and the Junior Open Water program begins at 10-years-old. 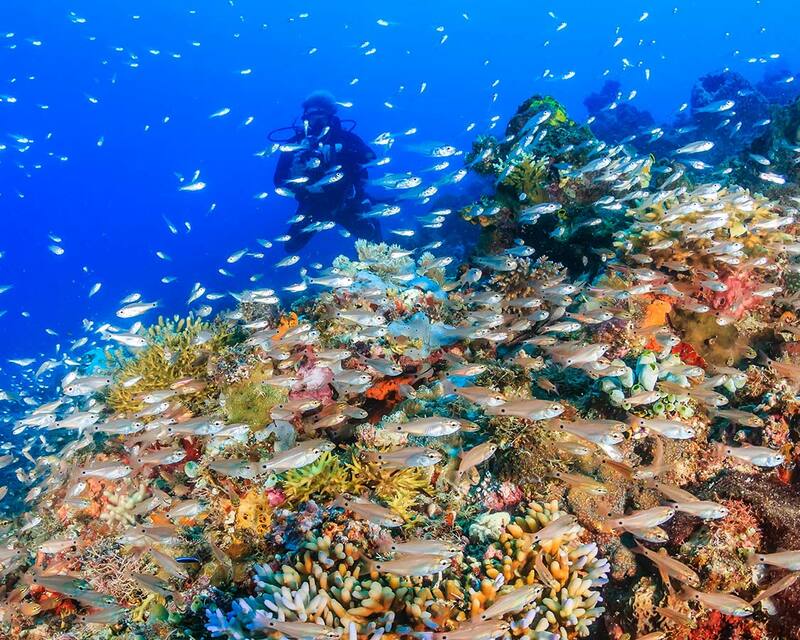 Every reef in Bonaire has been declared a protected marine park since 1978. 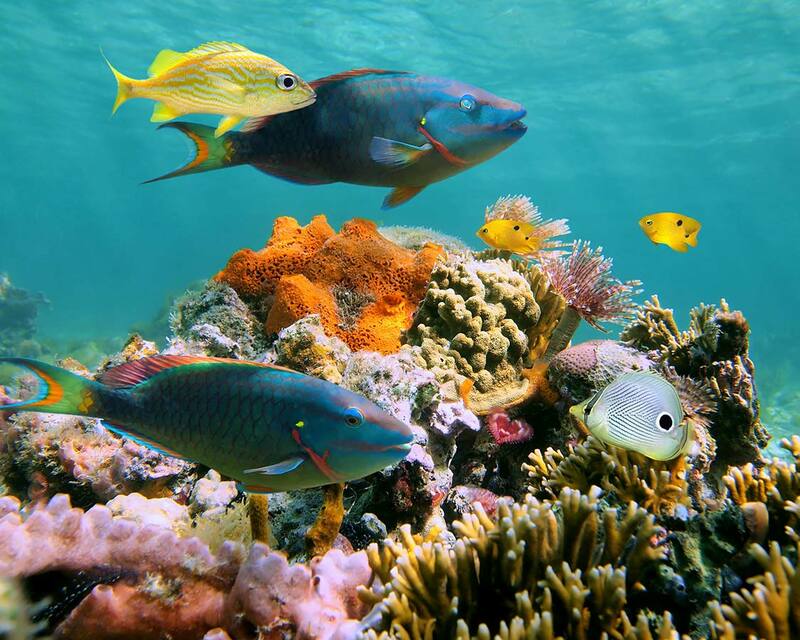 So, they are among the most pristine coral reefs in the Caribbean. And much of the best SCUBA diving in Bonaire is available as a shore dive, so you can forego the cost of boats. This level of accessibility means that family SCUBA diving vacations in Bonaire can be run at a relaxed pace. The family fun in Bonaire doesn’t stop below the surface. Bonaire is lined with amazing beaches. 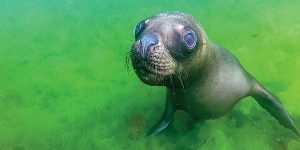 Or head to Klein Island to mix beach fun with amazing shore dives. In town, stop into Cafe Cuba Compagnie and watch the Salsa dancers put on a show. For nature lovers, check out Washington-Slagbaai National Park which covers an astonishing 20% of the landscape of Bonaire. If your family is just getting into diving, or if your children are looking to learn to dive in one of the junior programs than Buddy Dive Resort is a great option. Buddy Dive Resort sits right on Buddy Reef and is focused on family diving vacations. The Kids Sea Camp at Buddy Dive Resort is totally focused on fun, safe, and active dive education for children and adults alike. And if you are looking to explore more diving locations in Bonaire, you can use the drive-through oxygen and nitrox stations and make the short trip to the countless other diving spots on Bonaire. Turks and Caicos, which is north of Dominican Republic and west of Cuba is one of the best diving destinations in the Caribbean for families. 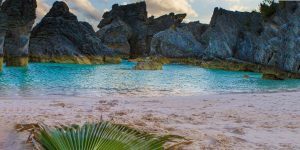 Not only is Turks and Caicos very easy to get to from either the U.S.A. or Canada, but it’s a super popular destination for family travel to the Caribbean as well. What Makes Turks And Caicos One Of the Best Diving Destinations In The Caribbean For Families? 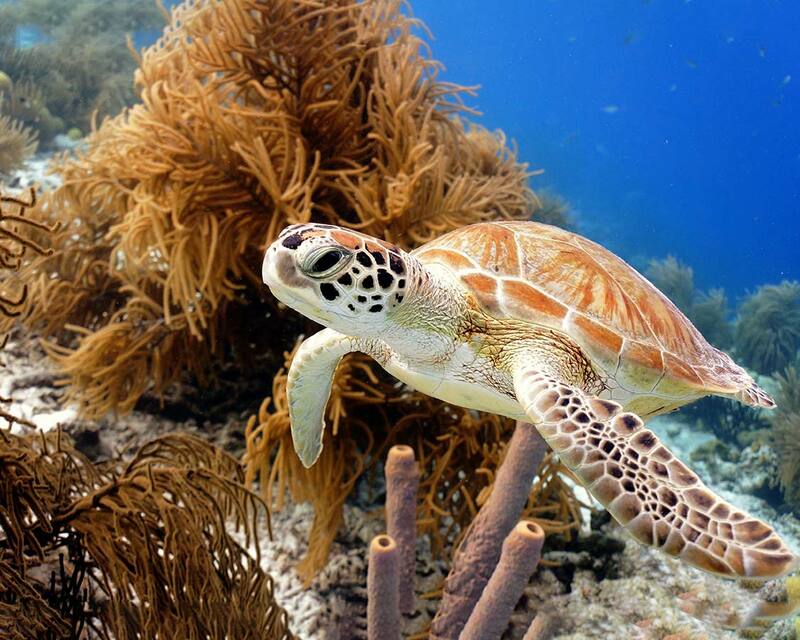 Much like Bonaire, diving in Turks and Caicos is a big part of the island life. There are many reefs that are accessible as shore dives, and most dive resorts in Turks and Caicos offer unlimited shore dives. Diving in Turks and Caicos boasts an average of 150 ft of visibility and the variety of marine life in Turks is astounding. The waters off of Grand Turks are home to humpback whales, king crab, turtles, stingrays, trumpetfish and much, much more. SCUBA diving isn’t all that Turks and Caicos have in store for families. Exploring Grand Turks and the surrounding islands offer a treasure trove of great family-friendly adventures. We are big fans of exploring caves, so the Conch Bar Caves and Indian Caves are a big hit. The small islets and formations of Chalk Sound are great for an afternoon of exploring. You can also head over to Smith’s Reef for some of the best snorkeling in the country. Turks and Caicos have some great options for family diving holidays. Beaches Resort is one of the hot spots for families in the country. They offer SNUBA options and PADI Certification courses for those who are just learning to dive. All dives at Beaches resorts are guided, so it’s perfect for families who want to experience some of the best diving destinations in Turks. Bohio Dive Resort is a favorite among SCUBA families in Turks and Caicos. The great restaurants, pools, and amenities make it a relaxing place where you can focus on SCUBA diving and still have lots to do when you’re out of the water. Belize holds a special place in our hearts for SCUBA diving. Not only is Belize home to the second largest barrier reef in the world, but it is also where Christina and I got our open water certifications. Belize is an amazing country for family travel as well with loads of great activities both on the mainland and on the islands. What Makes Belize One Of the Best Diving Destinations In The Caribbean For Families? There is a lot to offer SCUBA divers in Belize. The barrier reef is just where the incredible diving begins in Belize. 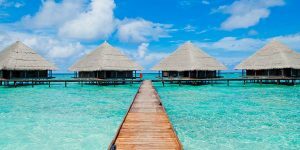 Whether you are staying on the mainland or Belize islands like Caye Caulker, Ambergris Caye, or one of the countless private islands dotting the Caribbean waters of Belize, you’ll be blown away by the waters. 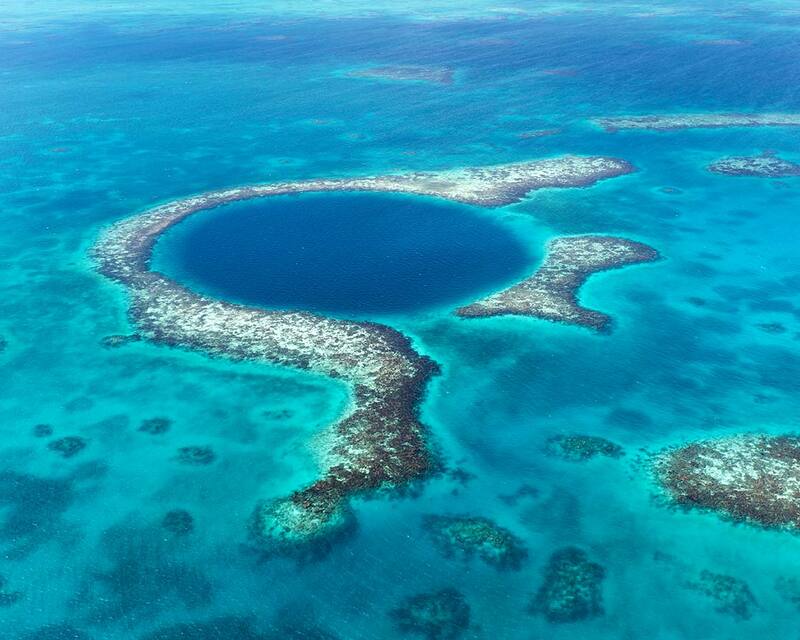 Belize is home to the famed Great Blue Hole, a sunken underwater cavern nearly 400 m deep. 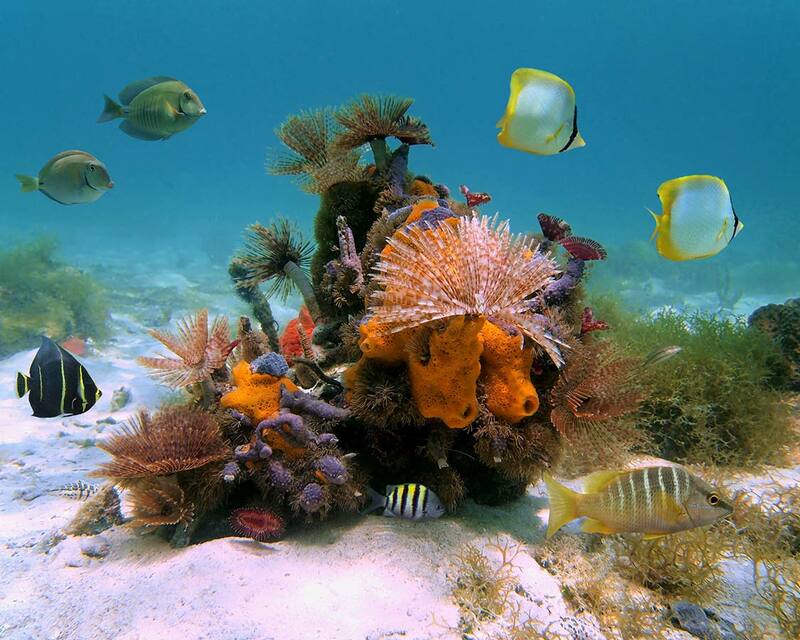 The quiet waters and abundant sea life also make Belize a popular destination for those new to SCUBA diving. For those who can’t handle sitting still, there is a huge number of things to do in Belize for families. To start there are the massive Mayan ruin complexes like Lamanai. 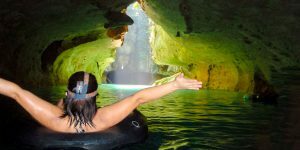 Belize is also a popular destination for cave tubing, and if you like caves as much as we do, you’ll love the tongue-twisting Actun Tunichil Muknal cave experience. If you are looking for a chilled-out place to relax in Belize, then basing yourself in Caye Caulker is one of the best options for families in Belize. Don’t expect much other than a peaceful dive vacations, a nice day hike, great restaurants and LOTS of water if you visit Caye Caulker. But this small island is a wonderful place to experience life at a slower pace. The local Frenchie’s Dive Shop does PADI lessons as well as great dive tours to the most popular diving destinations in Belize. But if you are looking for more action, head to Ambergris Caye in Belize. Ambergris is the largest of the Cayes in Belize and is located very close to the barrier reef, making it an ideal for families looking to do lots of dives. Ramon’s Village Resort in San Pedro is a popular spot for those who love amazing views but don’t want to be cut off from the nightlife. The island of Grenada is a perfect family diving destination for those who love to explore more off-the-beaten-path destinations. Grenada is easy to travel within and offers an amazing amount of experiences for the whole family. Dubbed “the Spice Island“, Grenada has a lot going for it both above and below the water. What Makes Grenada One Of the Best Diving Destinations In The Caribbean For Families? The waters of Grenada are teeming with mysterious shipwrecks, colorful reefs, and exciting drift dives. Advanced wreck divers will be amazed by the site of the Bianca C, a 600-foot luxury liner that sank off the south coast in 1961. 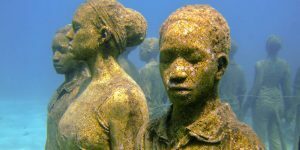 For young and beginner divers, a trip to the Molinere Underwater Sculpture Park is sure to capture your imagination. 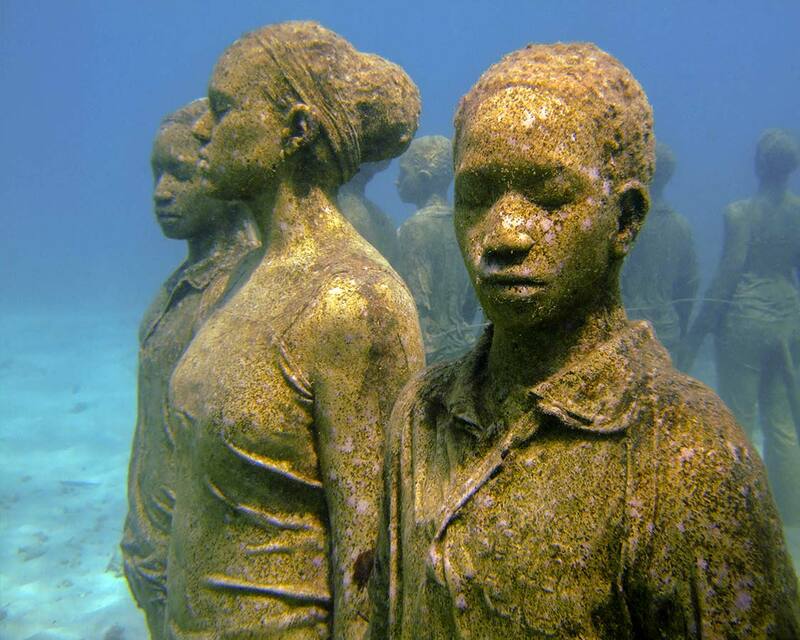 The site has 50 sculptures that are now becoming an artificial reef. Grenada is a mountainous island that is a treat to explore. The spice tours are very popular and offer great insight into the country’s history as a key trade island in the West Indies. Parents will appreciate a visit to the River Antoine rum distillery, the oldest rum factory in the Caribbean. Children will love all the waterfalls, and a visit to Grand Etang National Park where, if you come at the right time of day, the local Mona Monkeys swing by for a visit. True Blue Bay Boutique Resort is the resort of choice for most family vacationers to Grenada. They have learn to dive packages as well as multi-night dive specials that make it a great deal for SCUBA families. The Cayman Islands, which lie right in the middle of the Caribbean Sea is a jewel of thrilling diving locations in the Caribbean. The waters surrounding the Cayman Islands offer exciting coral walls, amazing wrecks, and unforgettable marine life. Grand Cayman Island, specifically, is where most dive families choose to base themselves in the Cayman Islands. Some of the walls here drop off an astonishing 1,800 meters (6,000 ft). What Makes the Cayman Islands One Of the Best Diving Destinations In The Caribbean For Families? The Cayman Islands has become popular for beginner divers due to the lack of current, making the shore dives off of Grand Cayman some of the easiest for new divers. There isn’t a lack of dive sites between the three main islands that make up the Cayman Islands. Little Cayman is popular for its vibrant corals, deep walls, and swim-throughs. Cayman Brac is the island with the most diving diversity. There are wrecks, corals, and walls to explore for all skill levels. 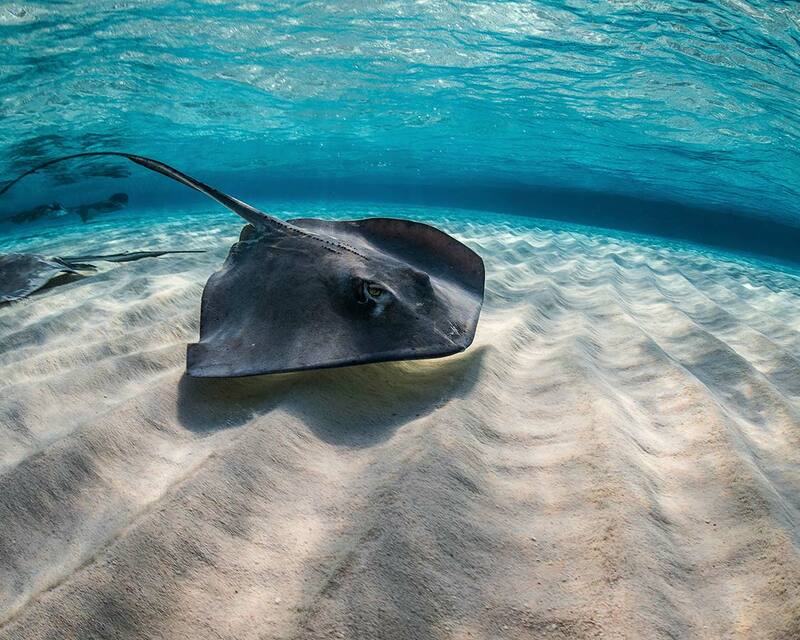 A dive in Stingray City is sure to thrill young divers. The stingrays here have been called nearly tame for their love of interaction with divers. The Cayman Islands are a full-fledged tourism destination in the Caribbean. Families will have a hard time being bored among all of the attractions in the Cayman Islands. Some favorites activities here are searching for the Cayman Brac parrot on Cayman Brac and the Red Footed Booby bird on Little Cayman. Skull Cave on Cayman Brac or the stunning Crystal Cave on Grand Cayman. A great place in the Cayman Islands to pick up some meaningful souvenirs is the home studio of Annalee Ebanks, one of the few remaining practitioners of palm frond weaving. Compass Point Dive Resort on Grand Cayman is considered one of the top dive resorts for families in the Caribbean. 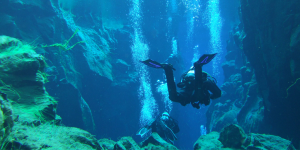 Whether you are looking to try SCUBA diving for the first time or are an experienced diver looking for some great dive tours, they have you covered. Compass Point has both kids and youth diving programs. Honduras nearly didn’t make our list due to the crime issues on the mainland, but the island of Roatan is a far different place than mainland Honduras and deserves to be on this list. This picturesque island, that sits 30 km off of the mainland is a mecca for SCUBA diving in the Caribbean. What Makes the Roatan Honduras One Of the Best Diving Destinations In The Carribean For Families? Roatan has been made famous as one of the best dive locations in the Caribbean by its abundant sea life, dazzling corals, and plummeting sea walls. Roatan is also one of the most popular places in the Caribbean for swimming with Whale Sharks. The sandy bottoms, vibrant reefs, and shallow wrecks make Roatan a popular spot for both new SCUBA divers and veterans. You can expect to see a range of undersea life in Roatan. 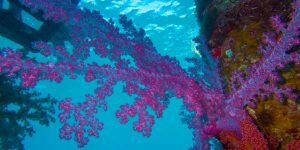 From Giant Groupers and Eagle Rays to arrowhead crabs and fireworms, the life here is amazing and is sure to thrill divers of all skill levels. Roatan has a sleepy island vibe to it, but towns like West End are fun and full of life. West End has some great restaurants and art shops that are fun to explore for the whole family. There are also fun zip-line courses and mangrove forests to explore. Roatan offers some of the best diving in the Caribbean, so there is no lack of amazing dive resorts on the island. SCUBA kids will love Mayan Princess Beach and Dive Resort and Turquoise Bay Dive and Beach Resort for their Kids SCUBA diving camps. Both resorts can also offer dive-masters who can fun family-focused dive excursions into the waters surrounding Roatan. What Is The Best Season For SCUBA Diving In The Caribbean? August to October is hurricane season, however, November and December tend to offer the least risk with the best price opportunities. January to February generally offers cooler temperatures and higher waves, especially in the northern Islands and the Florida Keys. April to July offers the best weather in the northern Caribbean with warm waters and calm seas. Do you have a favorite family SCUBA diving destination in the Caribbean? Tell us about it in the comments or swing over to our Facebook Page and share a photo. We would love to hear about your travels. 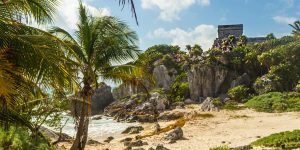 Is Tulum The Best Destination In Mexico For Families? We love Roatan!! Hubby and I went their a few years ago and the SCUBA and snorkeling were both amazing ❤️ Plus, the whole island is fun to explore. I can’t wait to bring our kids back their when they’re old enough to dive! Awesome to hear! Thanks for sharing Melinda. Your kids will love it! We have dived at: Turks & Caicos, & were amazed at how clear the water was; Curaçao was great for diversity & small dive groups; Grand Cayman was so much fun diving with the stingrays. We love St Lucia for the diversity also, but so much more. A shout out to Scuba Steve’s crew there as our favourite dive guides above all who can really make the dive event safe & exciting!! Wow! It sounds like you’ve experienced a fair bit of the Caribbean. Glad to see a vote for Scuba Steve’s.